Sie kennen bereits Ihre Handschuhgröße oder aber den Umfang Ihrer Hand in Zentimetern? Entnehmen Sie die passende Größe für unsere Handschuhe einfach der abgebildeten Tabelle. Um Ihre persönliche Größe zu ermitteln, messen Sie den Handumfang ohne Daumen an der breitesten Stelle über dem Knöchel. Halten Sie das Maßband dabei locker, um einen zu stramm sitzenden Handschuh zu vermeiden. These men’s gloves are made from premium kid leather—they are exquisite accessories for the modern gentleman. The leather has been fully-dyed, treated to a gentle tanning process, and stitched together by hand. As a result, the gloves have a lasting ergonomic form, perfectly fitted to the shape of your hand. The leather is gently gathered at the inside of the wrist. Meanwhile, four parallel decorative seams on the other side accentuate the backs of your hands. A side zipper closure makes it easy to put the gloves on and take them off, and lets you adjust the fit as desired. Soft and cuddly cashmere lining on the insides of the gloves keeps your hands comfortably warm, even at frosty temperatures. 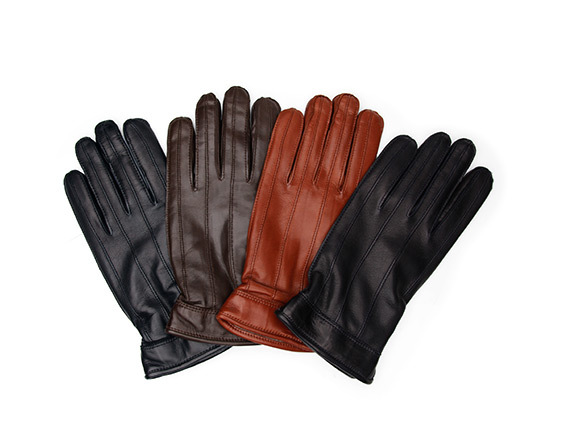 These men’s leather gloves with a zipper come in the colours light brown, dark brown, dark blue, and black, as well as in five different sizes. In order to determine your glove size, measure the width of your hand at its widest point (excluding your thumb), as well as over your knuckles. When doing so, lay the measuring tape loosely across your hand, to ensure that the gloves you select do not fit too tightly. 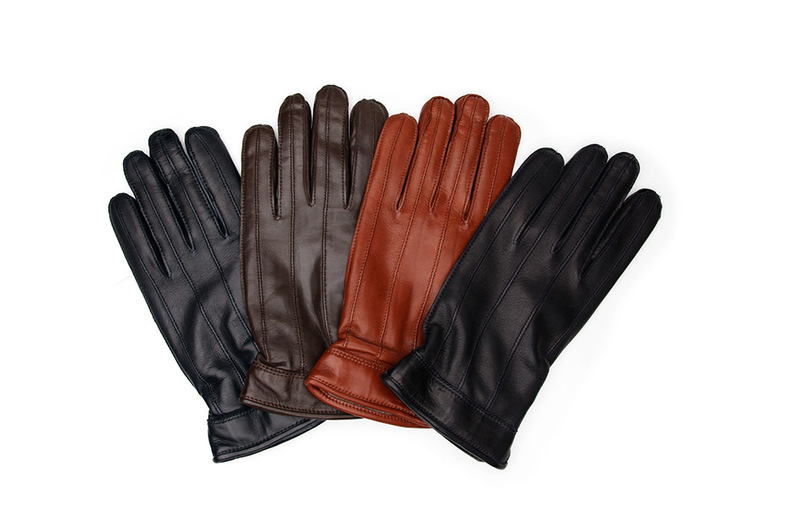 When carefully matched to your shoes and your clothing, these sophisticated men’s gloves with a zipper are truly stylish accessories. 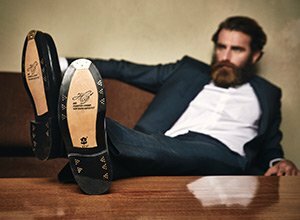 They are the perfect choice for the style-conscious gentleman.